Setting an unachievable bar for new hires is unproductive for the long-term health of your company and your employees. While it’s reasonable to hope that new hires will hit the ground running, regardless of their skill level and experience, employees just starting out are entitled time to onboard — and will benefit greatly by you providing a career roadmap for their first 90 days on the job. So how long is a fair amount of time to allow them to get up to speed? A majority (54 percent) of chief financial officers (CFOs) interviewed for a recent Robert Half Finance & Accounting survey said they give new hires less than 3 months to prove themselves. Another 9 percent of respondents said they give new hires less than 30 days to prove themselves. Clearly, the burden of success during the first 90 days doesn’t rest entirely on employees’ shoulders. It’s in your company’s best interest to set your new hire up with the tools needed to succeed and become a productive member of your team. Ensuring that you avoid the costs of a bad hire begins with the candidate vetting process long before a job offer is made. Here are five tips managers can follow to bring new employees into the fold and help them thrive in their new role. You worked hard with human resources to craft an accurate job description, sift through applications, interview candidates and negotiate an attractive offer. After you pause and pat yourself on the back knowing the hiring process is behind you, now’s the time to help the new employee get acclimated with the work environment, office technology and duties. You’ve already laid the groundwork by having IT set up the work station and voicemail before they arrive. You’ve contacted campus security about scheduling your new employee to get a new ID badge and office keys. Onboarding is the component that continues your work and will help your new hire be more productive and, with any luck, more inclined to stay with the company. Structure. Onboarding periods vary depending on an individual company’s needs, but it’s wisest to begin with a schedule. This will enable staff members involved to understand their roles and budget appropriate time. You should also provide new hires with a schedule so they know what the expectations are for the first few days and weeks on the job. A proper welcome. Make it a priority to introduce new hires to their immediate colleagues and others at your company with whom they will interact on a regular basis, and encourage tenured workers to reach out to them. This period of icebreaking will be beneficial to both sides. Education. During the first 90 days, encourage new employees to learn as much as possible about the company, its history, priorities and best practices. 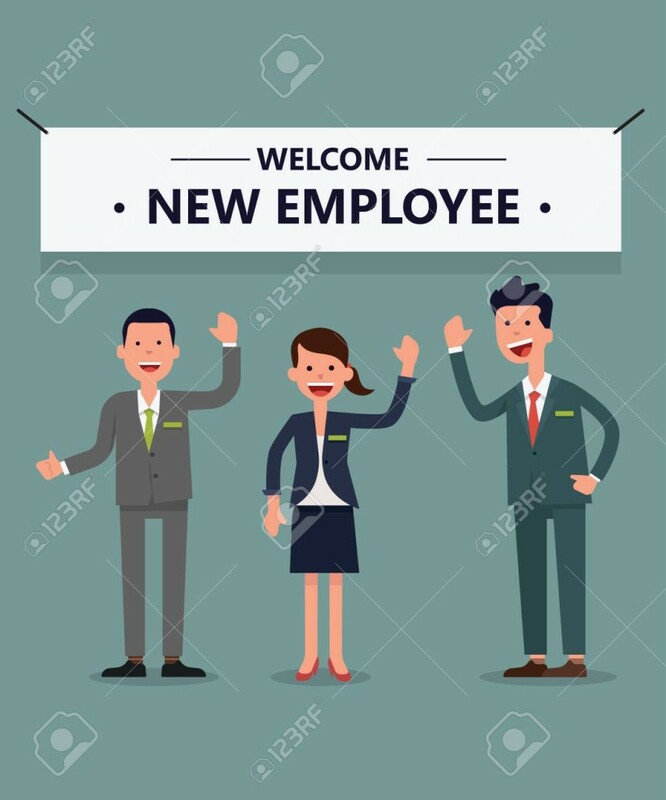 During this time, provide new hires information in digestible bites on special initiatives, products and services, major clients, dos and don’ts, quarterly and annual goals, and, most importantly, how their role contributes to the overall organizational picture. During the starting weeks, provide new hires with tangible short- and long-term goals to work toward in their first 90 days. It’s easier for new hires to hit targets when they know what to aim for. Explain that this list of goals will be part of their 90-day performance review. Don’t make new hires wait until their annual review for an assessment of their performance. They need praise and constructive criticism at regular intervals. Schedule frequent check-ins during the first 90 days to recognize successes and pinpoint areas for improvement. Most new hires, especially members of Generation Z, crave consistent and frequent feedback. Envision this time as a training ground for your company’s future top performers. Encourage them to come to you with questions or issues. In an ideal world, every new hire would be a perfect fit. In reality, that’s easier said than done. Even if you’ve avoided making hiring mistakes, sometimes you just don’t know whether an employee will work out until they’ve been tested in everyday work situations. If you notice any of these characteristics in the first few weeks, don’t wait to see if things improve. Take action immediately if you want to salvage this hire. Poor performance could be an indication of either inadequate training on your part or a lackadaisical attitude on the employee’s part, but you won’t know until you dig deeper. Meet with your new hire and construct a plan for improvement, with benchmarks. If there’s no improvement over a set period of time, then you’ll have to cut your losses and terminate them for the good of client relations and team morale. It takes time and effort to get new hires off on the right foot. By providing them a clear roadmap, you and your team can help new hires quickly acclimate to the workplace culture and become contributing members. This entry was posted in Allied Personnel Services, Hiring, Hiring, Jobs on February 4, 2019 by aps.